As UK inflation falls it is likely that the Bank of England will consider QE to stimulate the economy which would also result in lower UK pension annuity rates and income. The inflation in the UK has reduced and the government has been urged by the IMF to consider fiscal stimulus such as reducing interest rates and Quantitative Easing (QE) in order to boost the economy and lift the UK out of the double-dip recession. Both these measures would have a significant impact on UK pension annuity income by reducing the yields on gilts. Annuities are based on the 15-year gilt yields and lower interest rates with QE would drive yields lower in the short term. The Office for National Statistics (ONS) has said that the Consumer Prices Index (CPI) has reduced from 3.5% to 3.0% and the Retail Price Index reduced from 3.6% to 3.5% which is the lowest level of inflation since February 2010. The Bank of England has set a long term target for inflation of 2.0% and although the current rate of inflation is higher it is decreasing at a rapid rate and could drop below the 2.0% target. The Bank of England will consider whether it needs to resort to Quantitative Easing which would act to increase inflation by injecting money into the system. The International Monetary Fund (IMF) has urged the UK to consider using QE as part of the measures to boost the economy as well as reducing interest rates. Quantitative Easing requires the government to purchase UK government bonds and gilts which means investors have additional capital to invest elsewhere thereby increasing the supply of money to the economy. The effect is to increase the price of the gilt and therefore reduce the yield and as UK pension annuity rates are based on the 15-year gilt yields QE will reduce the income an annuity can pay to someone retiring. 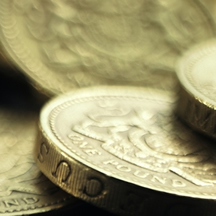 If the BoE reduces interest rates pensioners with savings will receive even less interest. Gilt yields have increased slightly today with the 15-year gilt yields increasing to 2.43% up 4 basis points. Despite the increase in gilt yields in the last couple of days providers have reduced annuities with Hodge Life down about 1.0%, Aviva down 0.8% and impaired annuity provider MGM Advantage reducing rates by up to 3.3%. These decreases in annuity rates are delayed reactions to falls in gilts at the beginning of the month. To counter falling annuities pensioners with health problems should make the most from their pension fund and consider an enhanced annuity if they suffer from lifestyle medical conditions such as high blood pressure, Cholesterol, are a smoker or are overweight. For more serious health conditions such as diabetes, heart conditions or cancer an impaired annuity can be considered offering incomes of 40% higher than the highest standard open market option annuity. If pensioners are in good health, they can receive up to 30% higher initial incomes than the conventional annuity by if using an investment backed or with profits annuity. 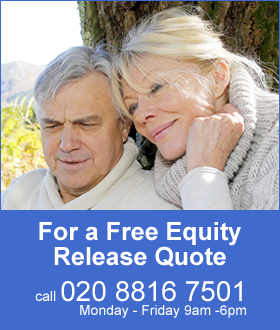 If a pensioners can accept the slightly higher risk higher incomes are possible although it is likely they will have other pension annuity income such as a final salary pension or more than one personal pension fund.